Located in the heart of the Financial District, Ulysses’ Folk House is named after the famous Irish novel written by James Joyce. 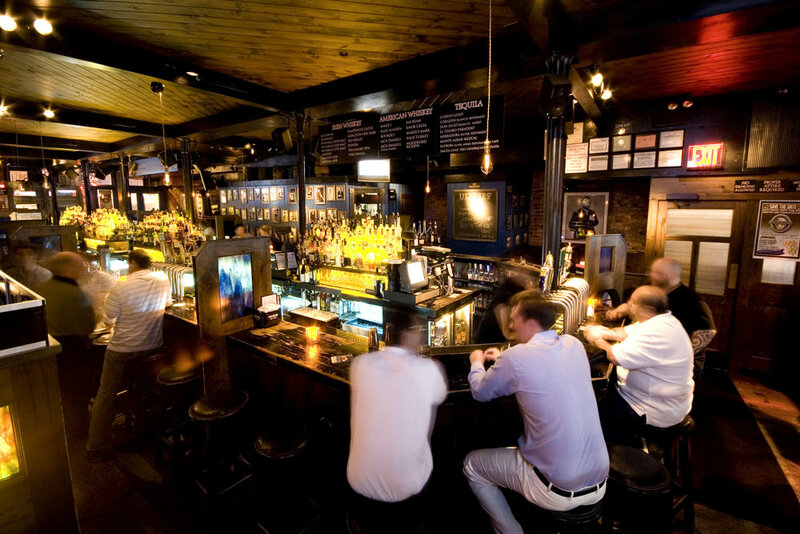 Ulysses eschews the usual Guinness-and-shamrock shtick with a vast selection of specialty beers, and snug nooks along the 130-foot oblong-shaped bar.Located in the heart of the Financial District, Ulysses’ Folk House is named after the famous Irish novel written by James Joyce. The novel follows the protagonist Leopold Bloom through one day (June 16th, 1904) where his adventures parallel those lived by Ulysses in the Greek classics. Since then, the sixteenth of June has become known as Bloomsday, a holiday celebrated in countries around the world, such as Ireland, South Africa, Australia, China, and the United States. Not coincidentally, Ulysses’ Folk House was founded and established on June 16th, 2003, by a group of private investors and restaurateurs from Ireland and Greece.